Last week us creative types at Sequel signed off the concept for a new intranet marketing campaign featuring the word ‘geek’; we used it in the context of acknowledging that geeks are close to inheriting the earth and are crucial to business success. They may talk a different language and act a little left field but corporate geeks are in positions of power. Imagine our amusement, therefore, to read several days later of a campaign in Sweden to force a dictionary to change its definition of the sister word to geek, ‘nerd’ and to encourage a more positive description of both words. It’s a sign that times have indeed changed. In the 1980s, to be a nerd or geek was to be socially awkward, even socially inferior. Jocks, those who were good at sport, or other socially successful groups, usually ended up winning. Today, when people think of “geeks” and “nerds” , they might very well name the likes of Bill Gates, Steve Jobs and Mark Zuckerberg – people whose imagination and grasp of the technical made them billions. Historic geeks are celebrated, with Alan Turing and Nikola Tesla’s legacies provoking great passions. New York Times blogger and geeky statistician Nate Silver has been hailed as an unexpected star of the US presidential election after correctly predicting the outcome. “Memo to wannabe presidents: hire geeks, not pundits,” advises this week’s New Scientist magazine. Singles on dating websites define themselves in their profiles as “nerds” and “geeks” – in a positive way – and there is no end of blogs listing stars like Natalie Portman as geeks or listing “nerdy power couples” (like Tim Burton and Helena Bonham Carter). In the new 007 film Skyfall, Bond’s gadget guru Q has evolved into a slick computer geek. 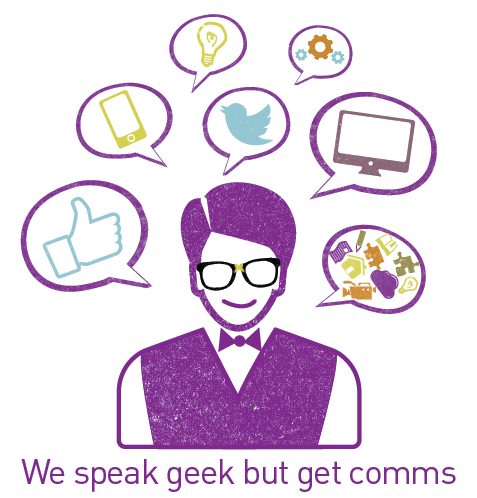 Which is why when Sequel says ‘it talks geek’, we mean it in a way which says we are able to speak the language of the people who will work with us to develop great intranets; we need them and they need us. And if a bit of their coolness rubs off on people like myself – a 48 year-old newspaper hack – then that’s the icing on the cake!